Designed with the whitebox user and system integrator in mind, Kingston RAM products are engineered to meet industry standard specifications and rigorously tested to ensure quality. Kingston RAM is ideal for those who purchase memory by spec and are looking for competitively priced generic memory that is 100-percent tested to meet industry specifications. 1GB DDR2 (Integral, crucial, samsung, Kingston, Hynix, Hypertec) .. Laptop RAM Memory 1GB DDR3 - Various makes in stock .. Description: M471B5273CH0-CH9 CRH 4GB 204p PC3-10600 CL9 16c 256x8 DDR3-1333 2Rx8 1.5V SOD.. Compatible with almost ALL laptops including iMac's, MacbookPro's and Mac mini's supporting DDR3 .. 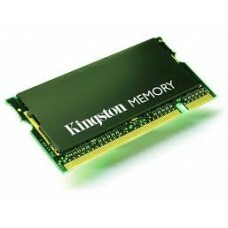 Compatible with most laptops including iMac's, MacbookPro's and Mac mini's supporting DDR3 PC3 10..